Siphosethu Mafungwa is a determined young man who is passionate about the environment. This high-achiever was identified as a leader in his school and participated in the enke: Trailblazer Program through enke’s partnership with the UCT 100 Up Program. The issue that Siphosethu identified in his community was the problem of litter and air pollution at his school in Khayeltisha. So, Siphosethu decided to do something about it focusing his community action project (CAP) on clearing litter from his school’s premises. Even though it was a small step, Siphosethu believed that it was important to create a better learning environment for himself and his peers. Initially, Siphosethu struggled to find the courage to implement the recycling project that he had designed at the enke: Forum, the kick-off training conference of the enke: Trailblazer Program. He felt that there were very few people who believed in his vision for a cleaner community. Quitting could’ve been his next option, but after long Whatsapp chats with enke Trailblazer Support Team, countless telephone discussions and regular motivation – Siphosethu managed to pick himself up and continue to work to make his project a reality. The open field behind the school that had become a makeshift dumping area. Siphosethu and his team worked to clear much of the rubbish with actions every week. He arranged to meet with his principal, getting sign off and support from the principal and other teachers to make small changes to the way recyclable goods such as used cans and boxes were used. The litter that was accumulating was from cans and boxes from the schools feeding scheme. The feeding scheme is essential for the learners from the school, which provides a meal each day for learners. A major challenge was the disposal of the opened food cans and boxes on a daily basis. “Before they [school caretakers] used to burn the cardboard boxes [that food came in] because there wasn’t regular waste collection. There would be dirty smoke that sometimes came into the classrooms. The cans would then be thrown in the back of the field. After we worked with the principal and talked to the caretakers about our project we organised collection areas for recyclable material that my team looks after and arranges to dispose,” shared Siphosethu during a site visit in March. “We’ve noticed a difference in that there isn’t any more smoke and the air is much better to breathe during the day” remarked one learner when asked about the changes they had seen as a result of the project. With support from their principal there are now large bags where the caretakers place the used cans from the schools feeding scheme. One of the things that stands out about f his project is the high level of he has received from his principal and teachers and the pride they have in him and the project. Siphosethu’s goal is to sell the collected recyclables and use the money to the school to buy school uniforms and materials for learners who can’t afford them. This part of his project has proved a challenge. He had identified several companies to sell the recyclable litter, however one of his biggest obstacles is being able to meet with the companies as they often suggest meeting during the day, which is when he is in class. As a result, he has had several meetings cancelled. Siphosethu hopes to create a culture of young people who see recycling as a way to not only keep the environment clean, but also to see the benefit from the income from selling recyclables and for their health. 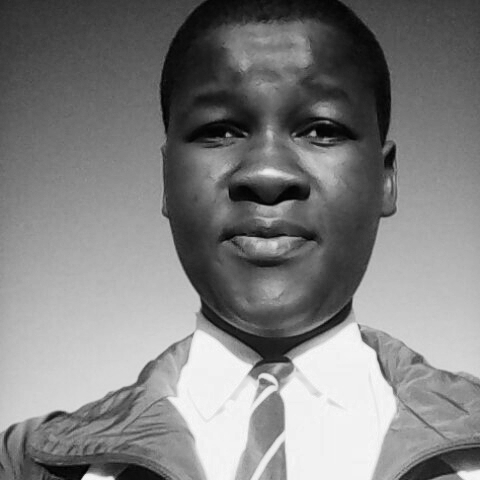 Siphosethu Mafungwa is currently a Grade 11 learner at Sizimisele Technical High School. He was a participant in the 2015-16 enke: Trailblazer Program, a 9-month long youth leadership and social action program for Grade 10 and 11 learners that starts at the annual enke: Forum – a week-long leadership skills conference.